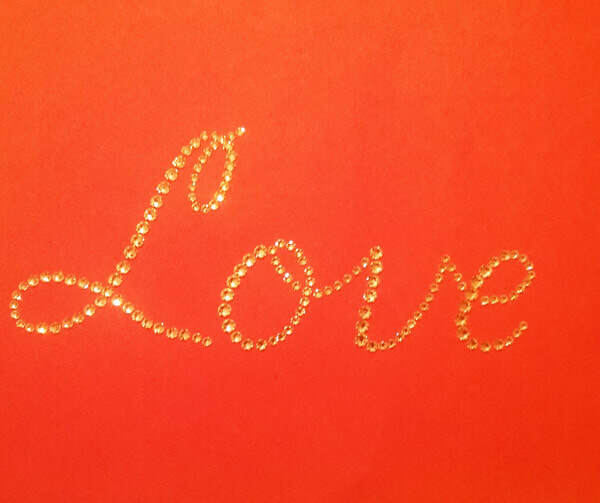 You can reproduce this rhinestone word "Love" on any shirt! The template has all the sizes and amounts listed! Just click on the words download file below to get your template! 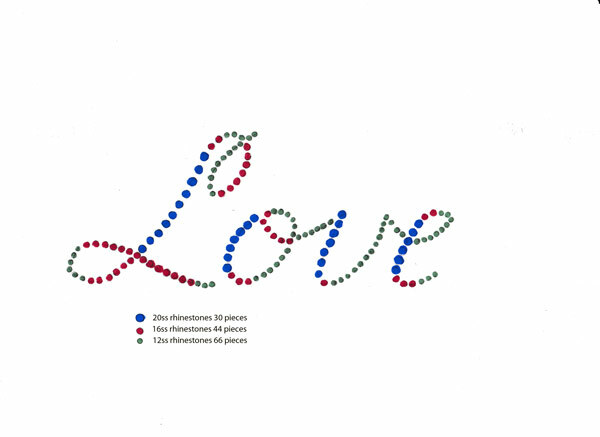 Read the instructions on how to use the "Love" rhinestone template here.